Hi Everyone, this week we had an incredible opportunity to do a fun activity during Juvenile Justice week at our school! We were so grateful to contribute to an incredibly inspiring week. At lunch the girls and boys from the Girls For The Last Girl club at Crossroads set up stations to write letters to the young girls at APNE AAP to keep in touch and check in and see how they were doing and share stories/ experiences of what its like to be a teen, sharing some of our common interests even though we are so geographically divided with such different circumstances! 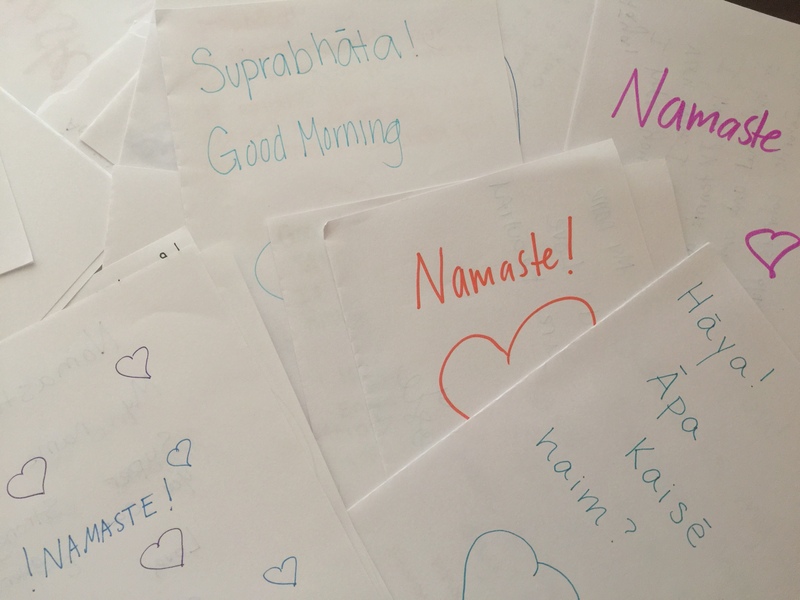 Our club managed to get 60 teens at our school to write letters to the young girls at the Delhi Center (some with tidbits of Hindi)!!! SUCH an amazing time this week! Looking forward to hearing back from our pen pals!